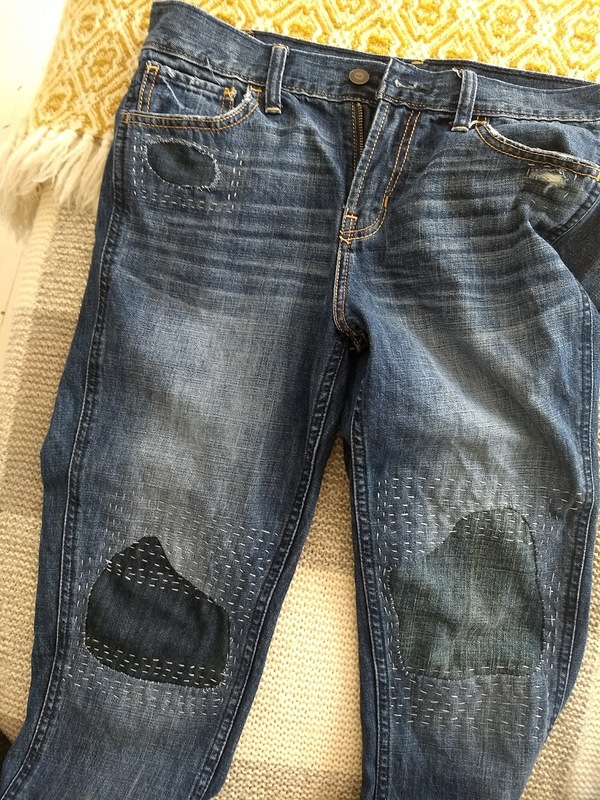 These shredded up knee holes are fake. 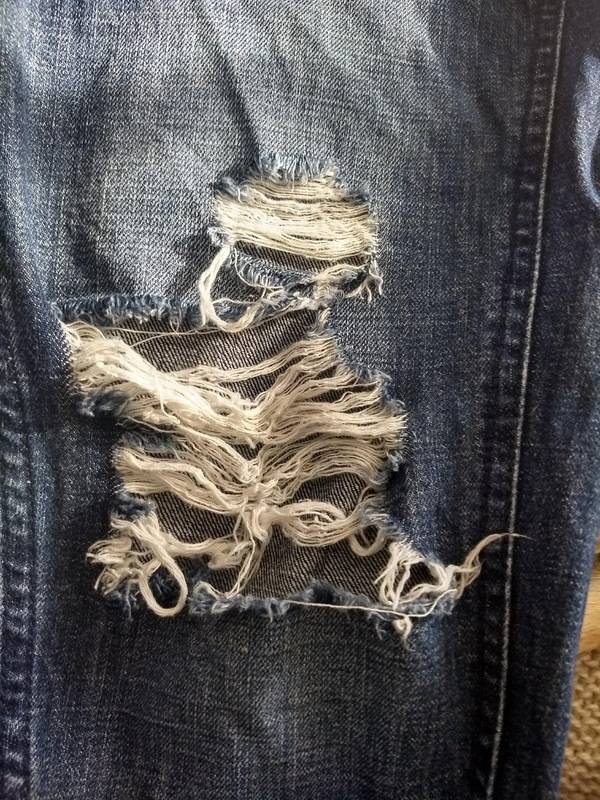 What possible incident could have caused that asymmetrical fraying? What kind of normal activity would wear in that pattern? None, that's what. 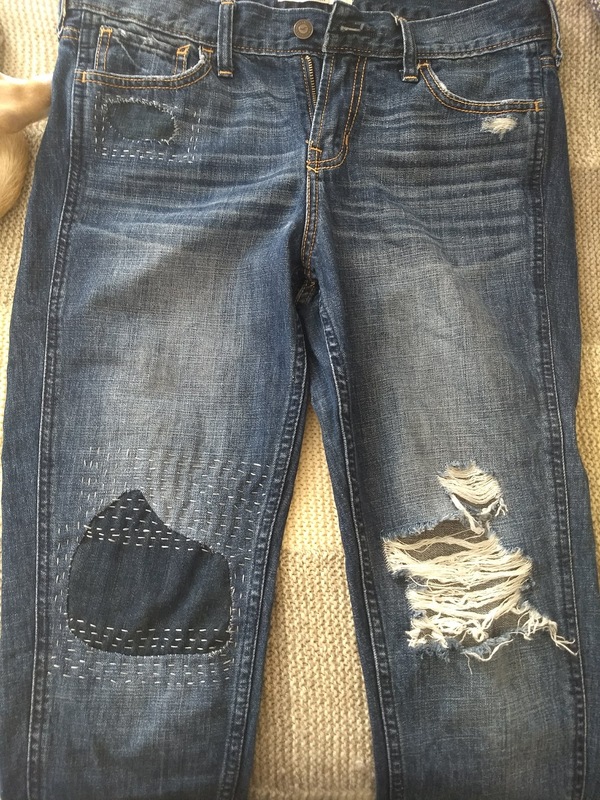 I have so many opinions about this and most of them are not positive, but when these jeans were made, they were shredded up on purpose in what somebody thought were places where real wear would happen and then somebody, some aggravated parent of a sullen teenager, perhaps, who just wanted to get the hell out of the mall, bought them. Not on the cheap, either; I've had teenagers, I know how much these cost. And then somebody probably tried to sit down while wearing them, or dared to try to bend her legs, and then she swiftly sent them to the thrift store. Along came me into the thrift store, and I tried them on. Bam! So much style! So much Rock and Roll! I preened, flexed my biceps, pouted into the mirror. Bought them (on the cheap, because thrift store) came home and washed them, and then, wearing them, tried to sit down. First of all, these shreds are not located on my knees. I know I'm getting to be an old bag and a lot of things are further south than they used to be, but I'm pretty sure my knees haven't fallen that far. Also, even if my old knees managed, through much adjusting, to land in the vicinity of the shreds, when I bent my leg, they carved into my flesh like a serrated knife through a soft tomato. And then the strings gave up and broke, hanging down like dirty mop strings and it just made me feel like a slob. But there they were in my closet, and even with the fake shredded up knee holes and saggy waist and unfortunate air-conditioning effect, I still really kind of liked them, and as soon as I saw this, I knew what to do. 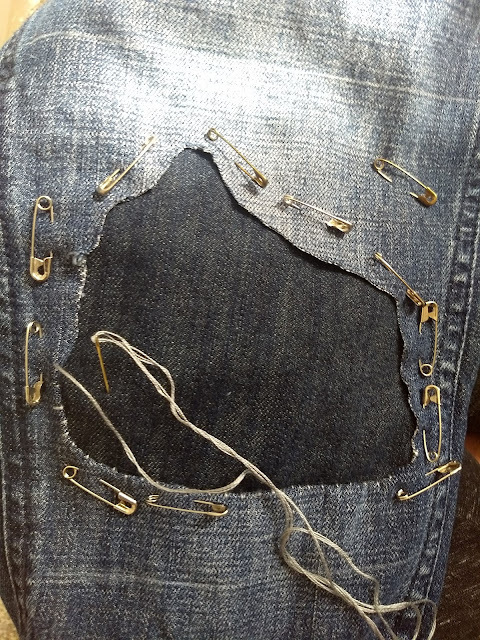 With help and inspiration from this book, I decided to start small and tackled the intentionally shredded front pockets first, before moving on to the more onerous holes in the knees. I cut patches from scrap denim and pinned them at the inside, then used a crewel needle and three strands of contrasting embroidery floss to make long [messy] stitches all around the hole. Then I cut away the fraying fabric and stitched the edges down, giving about 65% of a hoot about tidiness. I mean, I kind of wanted it to be mostly neat, but I didn't get out my ruler and draw stitching lines or anything. It took most of the day, but it was very satisfying. As you know, hand stitching is one of my most favorite things. It's far from perfect, but it honestly looks great to me. These pants were far from perfect even on the day they were brand-new, and I'd rather earn my ripped knees honestly, by wearing something well-fitting until it wears out, and then mending it again, but since I'm too impatient to wait for my pants to rip on their own, this sped-up version of the process makes me happy, and it saved these jeans from the dumpster. Still Rock and Roll. Also, I can bend my legs now. Success! Loved this post! Great fix on the shreds! I agree totally with your thoughts, too. 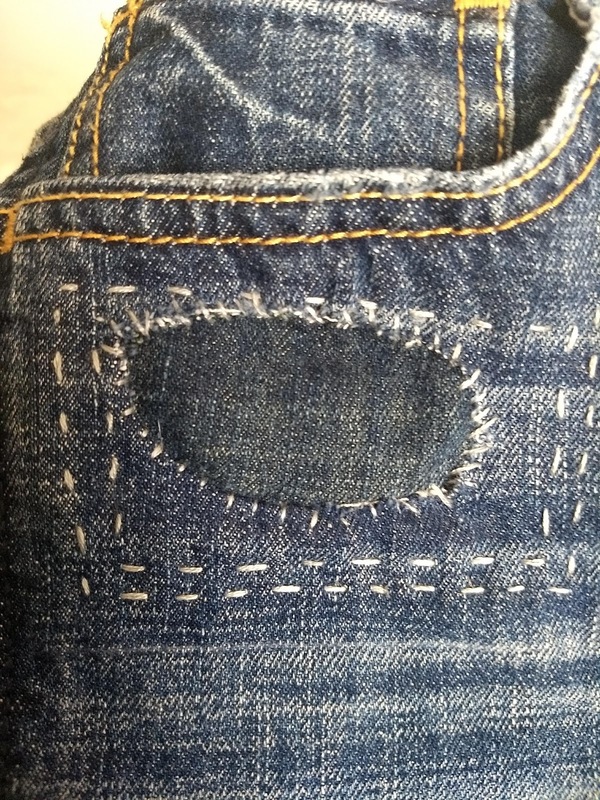 I enjoy hand stitching, too. That was a lot of work. I probably just would have bought some regular jeans. 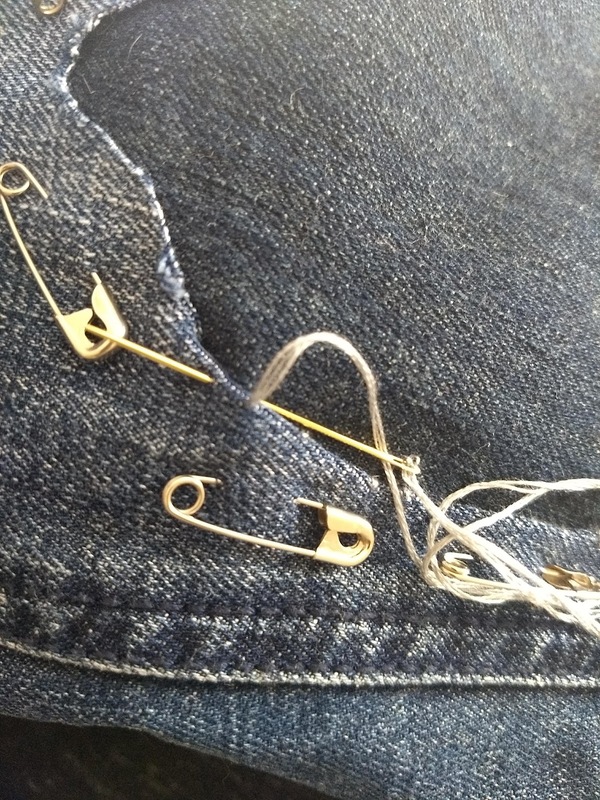 Mending is very satisfying, though. I love this look! I have gotten a bit...ahem...'cuddly' to find super comfy jeans these days but I am keen to hit the opshops, simply to try this out. I don't know. I mean sometimes this looks okay and then other times it kind of just looks wrong and not the right thing at all. It's all about placement and neatness or lack of it. You have to get the balance right and then feel confident that you have - enough to take ownership and wear them again. I was asked once by my then very rock n'roll boyfriend to sort out his too ripped jeans for him, I even sacrificed my favourite denim skirt for the cause. I don't think I got it right and don't think they were ever worn which made me sad. I do think this look can be a good one, you seem to have done yours okay but I've never tried again. I live in such an un-trendy little place now too,so raised eyebrows would definitely occur. How much that would bother me I don't know. That book might help me out though, the internet has lots of examples of what it should look like but not so many on the how to's. I love hand stitching but am a neat freak which is not always what is required. Just had another look at your pics, I think yours look great actually; very well balanced. I do hope you will wear them and show them off. I totally agree with you--this look requires some confidence. 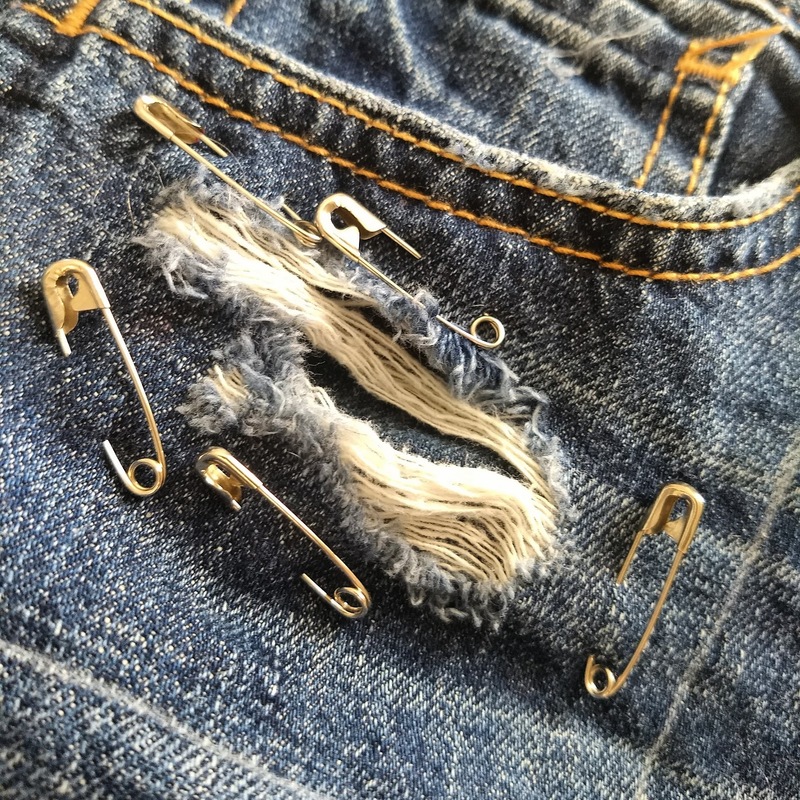 I'm just guessing because I am essentially a slob, but I imagine that someone accustomed to looking very put together, or spends a lot of time in professional attire might not feel very comfortable in patched-up clothes. 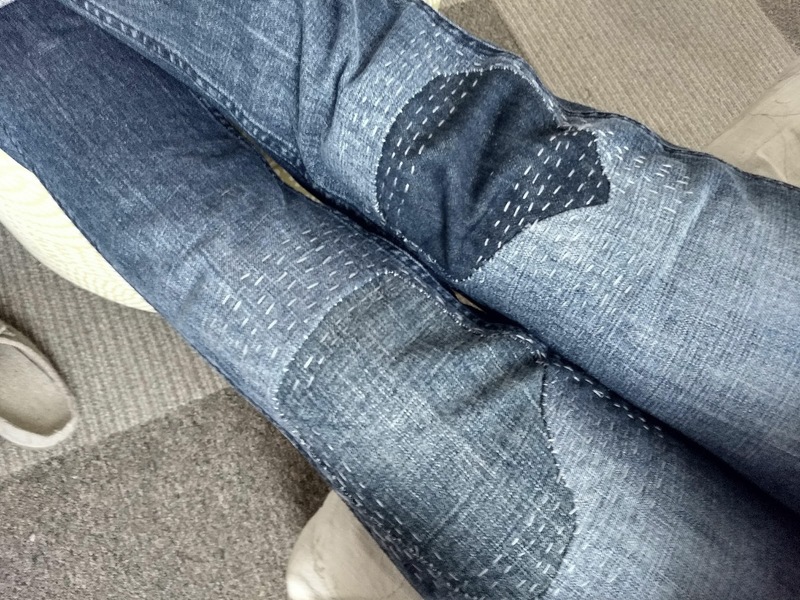 That person probably doesn't have ripped jeans to begin with, either, do they? Katrina's book includes several pages of more "hidden" mending techniques, so if you're into the idea of mending, I do recommend checking it out. As to raised eyebrows, I always take those as a compliment. Who wants to look like everyone else? Love this. I think laborers in factories who are paid pennies a day to sew our clothing must think we are insane, to take a beautifully sewn garment and deliberately shred it. And it kind of makes me angry at us, that we sit on our fannies in front of various screens, buying overpriced clothing that fakes the look of poverty and manual labor. I applaud how you have reclaimed and redeemed the jeans. 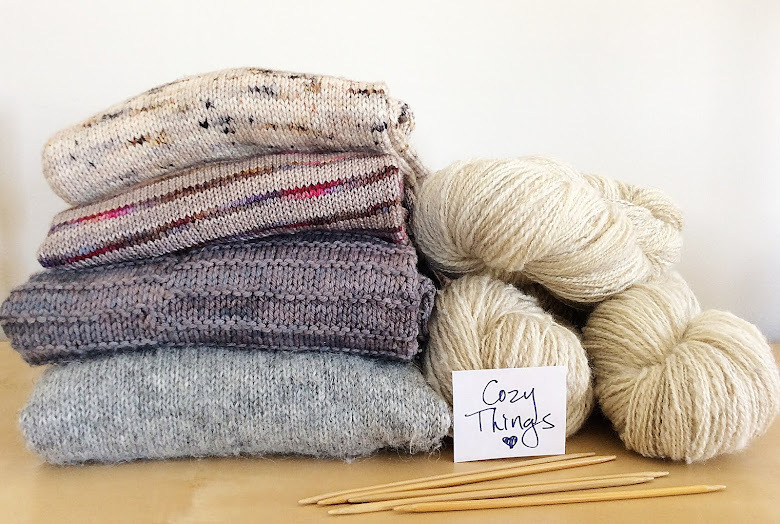 Thank you for continuing to share your adventures in making or as is the case in this post, mending. You've inspired me to dig through my closet and look for those favorite jeans with rips in the wrong places. I've put the book on my wishlist. Hopefully, I'll spend the next snowstorm mending away! Thanks for describing this work step by step. A lot of cool information is on this blog. I like reading your blog.